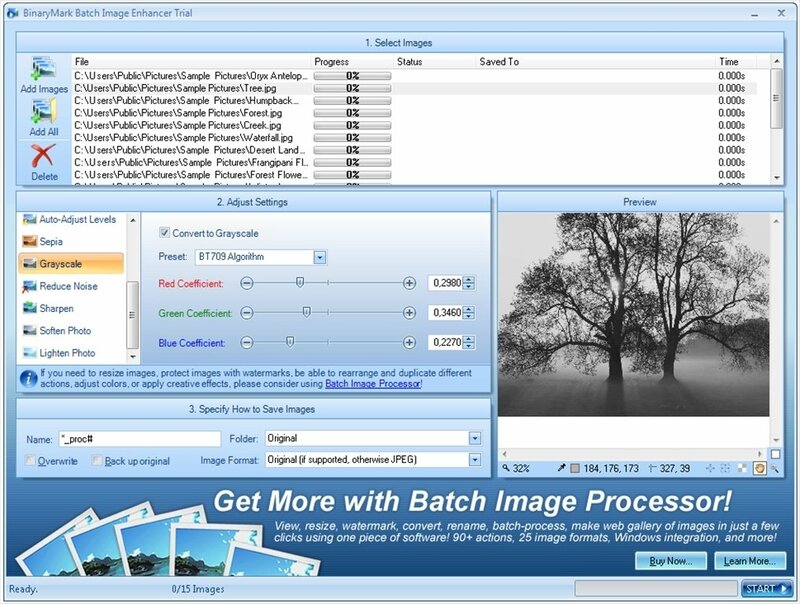 There is always a chance that you take a bad photo, and if you take too many bad photos, your album will be a disaster... BinaryMark Batch Image Enhancer is a graphic processing application that enhances batch photos. You will be able to improve their quality, manage them by means of the explorer and convert them into other formats if required. Reduce the noise of images. Modify the tone, the contrast and the saturation. Apply sepia or greyscale filters. 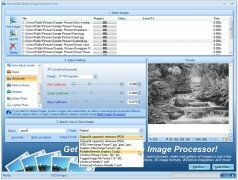 Convert images to JPG, GIF, PNG, BMP, TIFF and WMF formats. 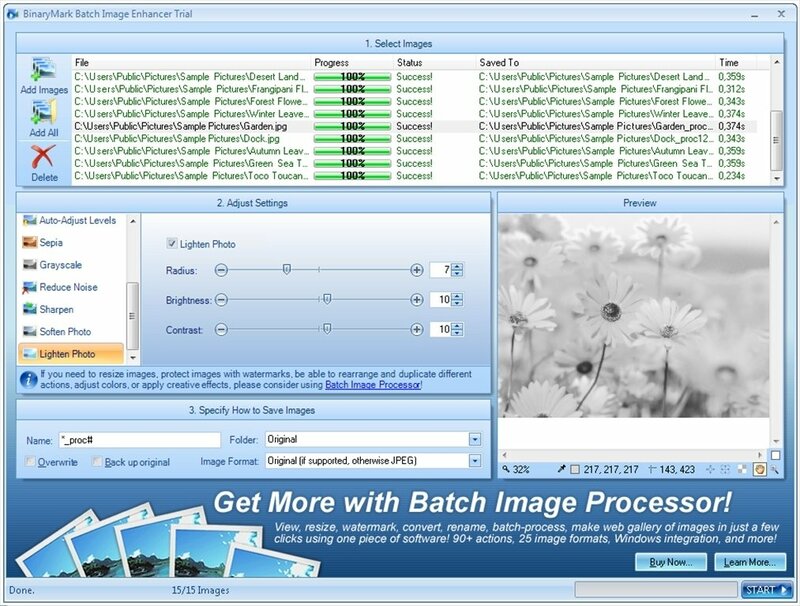 Taking advantage of the fact that BinaryMark Batch Image Enhancer integrates into the Windows context menu, you will be able to access all these functions distributed appropriately on the interface in a very rapid manner. Furthermore, the results are previewed in real time so that you can check what your photos will look like after their facelift. 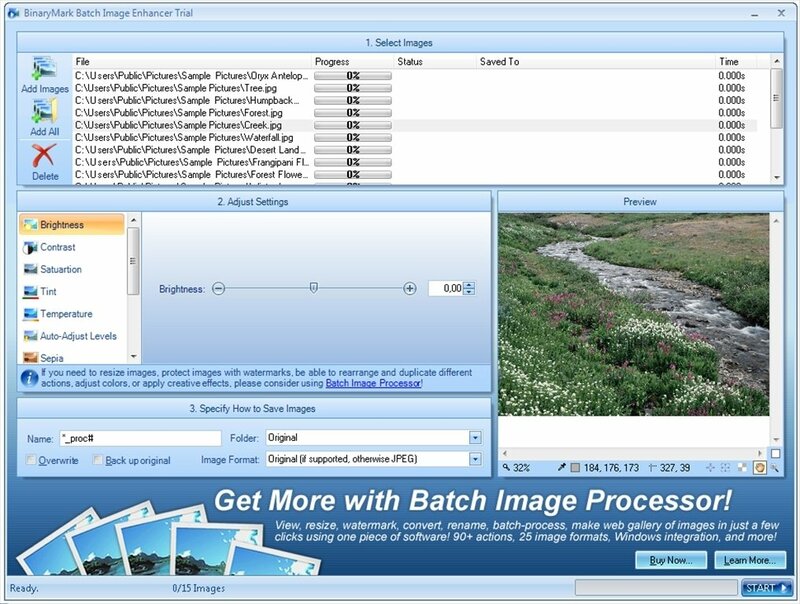 If your photos require processing to look great, download BinaryMark Batch Image Enhancer. 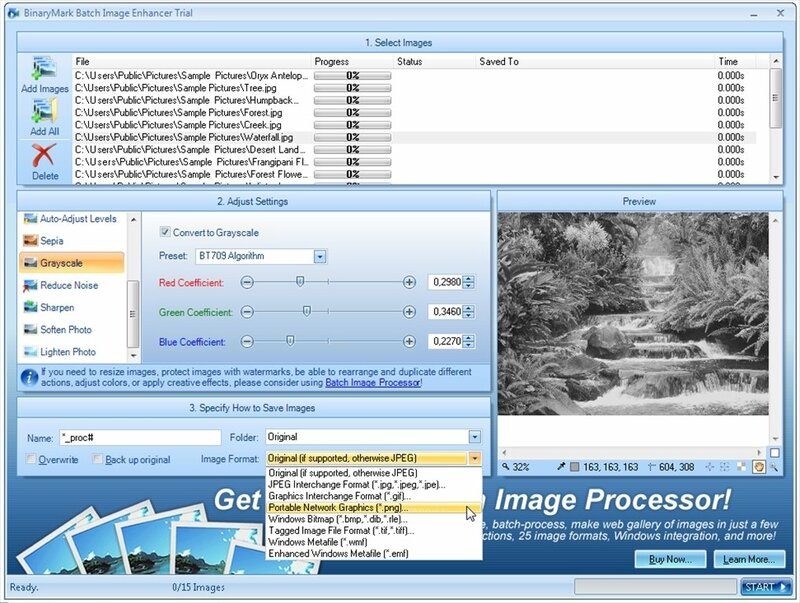 The trial version applies watermarks to the processed images.